We now live in a digital world crammed full of content and amazing solutions. As a B2B company, you know your solution needs to stand out from your competitors. You know you need to bring more leads to your sales teams. Where to start? If you want to show successful ROI - in the form of Sales Qualified Leads, and revenue - you will need solid target personas in place so you know where you’re aiming. Make sure our website is optimised for SEO, UX, etc. And while there is nothing wrong with any of the tactics listed above, a lot of money can be wasted on best guesses and trial and error. If you want to show successful ROI - in the form of Sales Qualified Leads, and revenue - you will need solid target personas in place so you know where you’re aiming. You need to understand the who, what, where, and why of your prospects. This is the essence of customer-centric marketing. Investing time and energy (and outsourced help if required) to create target personas will be a strategic guide to your marketing plans and help ensure the Customer Acquisition Cost is as efficient as possible. 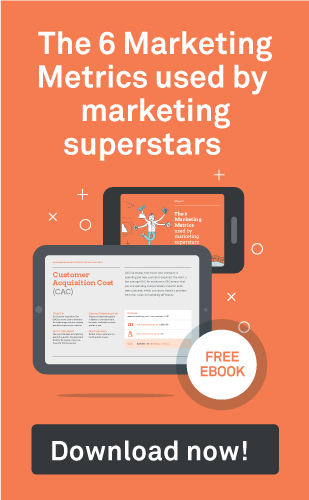 To find out more about how to measure CAC, Download our ebook about the 6 metrics used by marketing superstars. With target personas you have CONFIRMED AND CLARIFIED the needs of your prospects. You know the specific pain points of your prospects and know how to present your solution as the answer to their problem. You speak in a way that makes sure they’re listening. You think you know where they’re hanging out, but do you really? Target personas means you understand the demographics and behaviours of your prospects. And that means you can invest wisely in marketing on the channels and platforms that will reach them. Here it is - a TOFU tactic (TOFU - the top of the sales funnel.) A tactic focused on turning visitors into leads! Is your gated content really what your prospect is interested in? Is the form you’ve asked them to fill in too long, too short? 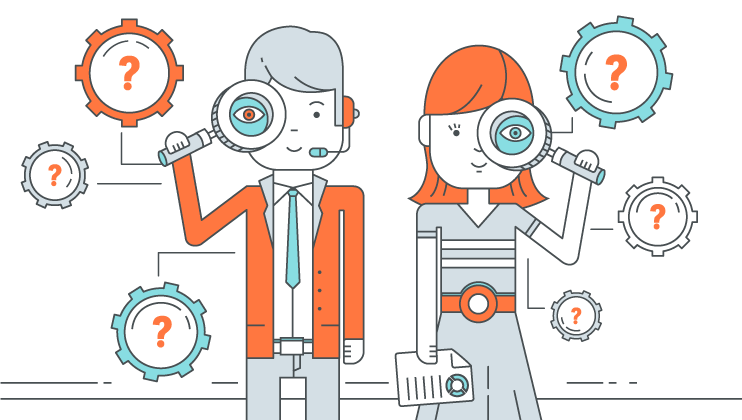 Having target personas to refer to means you can discover the answers to these questions. Here’s the thing, depending on your prospect, they will love some forms of content and be completely ambivalent about others. Be sure you’re spending your marketing dollars on content that will draw visitors to you and generate leads because they want to know more. According to a recent State of B2B Digital Marketing Report, email marketing is still the number one strategy for lead generation in the US by B2B marketers. That’s great news! With target personas, you can segment your database in a systematic manner and set up marketing automation to send them emails based on the stage of their sales journey. Excellent! The first thing you’ll want to see from the agency is that they have developed a campaign strategy which effectively targets your prospects (according to the personas you shared with them); that they are reaching out to the right people, at the right time, on the right channels. All designed to generate leads. Make sure our website is optimised for SEO, etc. Ah yes, keywords, SEO reports, etc. What are the keywords your prospects are using? What internet searches are they running to find the answers to their problems? By understanding your prospect’s painpoints you can target the keywords they are using. This will help your brand in internet rankings and overall brand visibility. What events are they interested in anyway? Oh, hang on, your personas will tell you. Either send your salespeople or supply a keynote speaker to existing events or tap into the topics your prospects care about and run your own event. Again, knowing what your prospects are reading or watching means you can spend your budget wisely. Buyer personas are the first step in developing a B2B marketing plan because it helps align and guide the rest of the overall strategy. The B2B marketers we work with are constantly thinking about lead generation, and ROI - how to make the budget stretch further. And let’s be honest, some have invested in mapping out their target personas, and some haven’t. Wanna guess which ones are actually reaching their target audience and showing more effective ROI?